A very comfortable win in the end for Southampton, who move up to 10th in the Premier League table. West Brom, meanwhile, stay 13th. Don't forget to head over here for reaction to all of Saturday's games. Plenty of effort from West Brom, just not the quality needed to hurt the home side. James McClean makes a bit of a dart down the left, turns back on himself, and the ref blows up for full-time. The home side are still pressing for a fourth - but West Brom are bravely seeing this through until the bitter end. Three minutes to go here. Tony Pulis is still blowing hard on the sidelines. Not much doing from here you feel though. You can almost feel the collective sigh from the men in blue and white. Saints are home and hosed. Last change for Saints. Cuco Martina is on, Cedric Soares off. A like-for-like switch at right-back. Fancy recreating that stunner you scored against Arsenal, Cuco? New Southampton signing Charlie Austin will be very pleased with what he's seen from team-mates his today. "West Brom have not been at the races. "All we have seen is Tony Pulis shaking his head, it’s been really poor and that third goal sums up Albion’s afternoon." The home fans have really found their voice now. And there's a lot to shout about this performance, too. Victor Wanyama (left) in the Southampton midfield looks to be key today. He has managed 63 touches and 54 passes - finding a man with 87% of them. Compare that to Darren Fletcher (right) who has played just 19 passes for West Brom. Indeed, Wanyama has managed more than Fletcher and Claudio Yacob (30) combined. "Targett did well, driving from the halfway line before playing a reverse ball to Tadic. He smashed it home. "Southampton had a sticky spell at Christmas but they seem to have bounced back." And with his side now 3-0 up Ronald Koeman makes another change. Oriol Romeu is on to perform the midfield anchor role for the last 20 minutes or so, replacing Steven Davis. The substitute gets in on the act! And this really is a lovely goal. A fantastic first-time strike across the keeper by Dusan Tadic, but it's all about Matt Targett's bursting run and disguised pass to play him in. Chris Brunt to the rescue! Actually it was his mistake that played Dusan Tadic in on goal as West Brom raced to cover the dangerous interplay between Tadic and Long. "One Rickie Lambert! There's only one Rickie Lambert!" That's what the home fans are signing as Victor Anchebe - preferred to former Southampton striker Lambert up front today - shows great technique to chest the ball down and set himself up on the edge of the box. But his volleyed effort is wayward - again a lack of quality where it counts. "West Brom have offered absolutely nothing going forward. They need that spark and hopefully Saido Berahino can provide the kick start that they need. "Let’s face it, they have got nothing to lose." Two changes: Dusan Tadic is on for Southampton, replacing Sadio Mane. 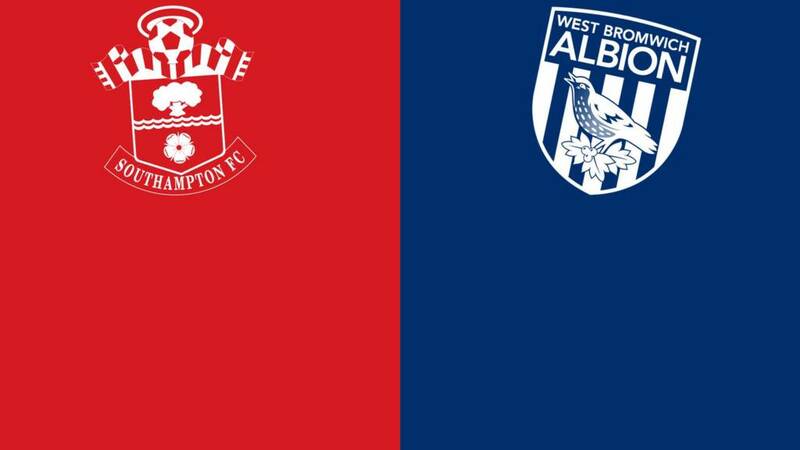 And Saido Berahino is on for Stephane Sessegnon for the away side. Southampton pick the Baggies defence apart once again - this time Sadio Mane to Shane Long, but Craig Dawson makes an excellent lunging block to loop away. Slick stuff from the Saints - Long looked like he was in there.